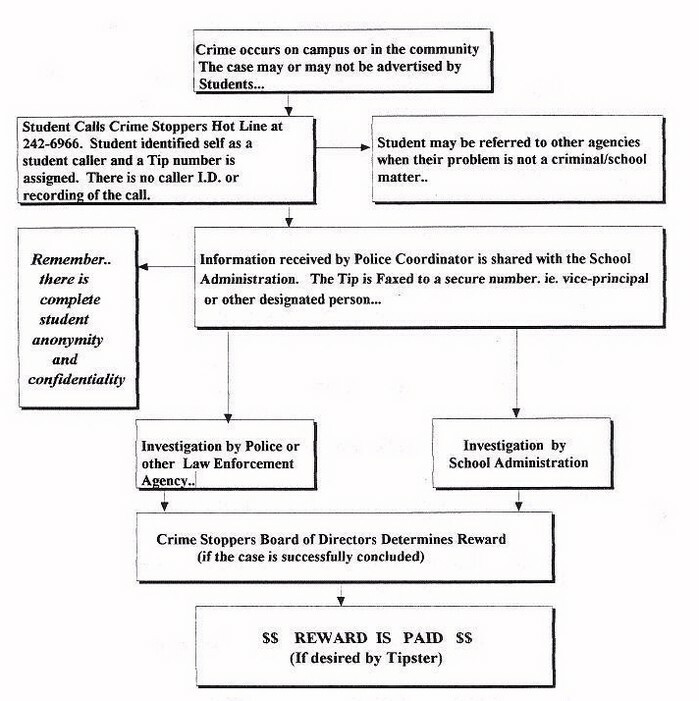 In 1999, Maui Crime Stoppers established the Student Crime Stoppers program, with a Maui Police Department Resource Officer assigned to each school. The purpose of the program is to give a place where all students feel free to give information about crimes committed and drug and alcohol abuse on property without fear of retaliation. The program strives to create an awareness in students that they have the power to take charge of their environment. Rather than just identify youthful offenders and throw them into the judicial system, the program was designed to provide an anonymous method to identify those demonstrating unacceptable behavior and to apply corrective measures at an early stage. The Student Crime Stoppers program allows students to provide anonymous tips to the authorities about crimes. The student may received a monetary reward if the tip proves instrumental in solving the crime. Interestingly, statistics indicate that the motivating factor for the students is rarely the money. Student Crime Stoppers promotes school spirit, pride and responsibility. The first Student Crime Stoppers program was started by Officer Larry Weida in Boulder, Colorado to combat the increasing problems of violence, drugs and crimes in that community's schools.